Custom Inspections offers professional home inspection services to areas of Southwest Missouri. Our extensive experience in the home-building and inspection industries has allowed us to establish a reputation as the region’s go-to choice for home buyers and sellers alike. 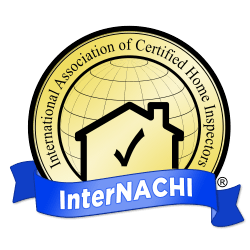 We adhere to InterNACHI’s rigorous Standards of Practice. Before you finalize your investment in a home, have us perform a comprehensive evaluation of the property. We’ll inspect the visible and readily accessible areas of the home, recording our findings in a easy-to-read digital inspection report that will be available within 24 hours. When scheduled prior to putting your home on the market, this inspection can be a great way to facilitate a smoother transaction and to ensure that you get the most from your investment. We’ll inspect the readily accessible areas of the home, informing you of any defects we encounter so you’re given a chance to make repairs before listing your home. When it’s almost time to finalize closing on your newly constructed home, you want to be sure that everything is taken care of. This inspection should be scheduled before the builder’s final walkthrough of the home, allowing us an opportunity to identify potential defects while the project is still ongoing—which, in turn, gives you a chance to bring issues to the builder’s attention so they can be fixed before you move in. We’re able to inspect a home that’s currently under construction at multiple phases of the build—an inspection is usually performed 4-7 times, depending on your specific needs. We’ll thoroughly assess the current state of the property to look for potential oversights in construction or defective materials that need to be addressed before the build continues. Insurance agencies often require this inspection of a property before they’ll offer or extend an insurance policy. We’ll evaluate the condition of four critical areas of the home: the roofing system, electrical system, plumbing system, and HVAC system. This inspection service can be scheduled as often as needed to help protect an ongoing construction project from delay or possible litigation due to disputes with the lender. We’ll first look over the original loan agreement to familiarize ourselves with the proposed budget and timeline—then, we’ll thoroughly inspect the progress of construction and the materials on-site to ensure that the terms continue to be met. Re-Inspections are designed to give home buyers extra assurance with a prospective investment. We’ll return to the property where we previously discovered a defective component to evaluate the completed repair work or the replacement component to make sure that the original issue has been resolved. As a certified Mold Inspector and Remediator, owner and inspector Randy Beaver is a perfect candidate for determining whether or not a home is affected by a mold problem. All visible and readily accessible areas of the home will be evaluated for mold growth and the moisture that facilitates it—keeping you informed so that you’re not caught off guard by possible remediation expenses. A dangerous radioactive gas that is a leading cause of lung cancer, radon naturally concentrates underground and gradually rises up through porous rock and soil. If radon is able to penetrate the structure of a home, it can be a big problem for residents—without them ever knowing it’s there. Radon gas is odorless and invisible, requiring specialized equipment to detect. This inspection service will utilize the necessary resources to ensure that your current or prospective home is safe from radon. Owner and inspector Randy Beaver is a State Licensed Termite Inspector, and he offers this inspection service to ensure that your prospective investment is protected. The visible and readily accessible areas of a home will be closely evaluated for anything that could indicate damage caused by termites—ensuring that you’re aware of potential repair costs before closing on the home. We’re able to inspect commercial properties for prospective investors who need more information about a property’s condition before making a final decision. We’ll assess the readily accessible areas of the property, including any installed mechanical systems. This inspection service is often required by mortgage lenders for manufactured homes. We’ll thoroughly assess the condition of the foundation to ensure that there are no issues that pose a risk to the structural integrity of the home. If the foundation is in good shape, a foundation certification will be issued by an engineer to satisfy the lender’s requirements. At Custom Inspections, we raise the bar by providing a detail-oriented home inspection service rooted in experience, innovation, and commitment to quality. Contact us today to request an inspection. Appointments can be scheduled 7 days a week.